Payroll accounting is the act of recording employee compensation, keeping track of money withheld from employees’ paychecks, and calculating the employee and employer share of taxes and benefits. You can accomplish this in five easy steps: prepare to hire employees, gather key employee documents, calculate and record paychecks, file and pay taxes on time. Calculating payroll incorrectly often not only causes strife in the workplace, but can also cause one-third of businesses to face penalties at tax time. Reduce the risk of human error by using payroll software like Gusto. It will automatically calculate, deposit, and file your payroll taxes each pay period, saving you valuable time and money. See how easy it is with a free 30-day trial. Before you hire employees, there are a few decisions that you will need to make as well as information you will need to obtain. These things include your wage and salary types, desired benefits, and more. The Federal government tracks all tax payments made by a business using their EIN (Employer Identification Number). It’s free to get an EIN from the IRS; to learn more about EIN and where to get one, check out our EIN guide. You’ll need to decide salary levels for all your employees and whether you’ll be paying employees hourly or with an annual salary. Check out our how to pay employees guide to learn more. It’s important to establish how often you will pay employees before you hire them. The most common pay periods used are weekly, biweekly, semimonthly, and monthly. You can have more than one pay period. For example, you can pay hourly employees on a weekly basis and salaried employees on a biweekly basis. Benefits are a key component of payroll. For example, if you offer a 401(k) plan or a health insurance plan, then you must decide how much you will contribute as an employer and what the employee must contribute in order to participate in the plan. Workers’ compensation provides protection for employees who are injured on the job or become sick because of the job. Workers’ compensation is mandated by each state (except Texas). You can learn more about the cost and state requirements in our how to purchase workers’ comp guide. After hiring your employees, you’ll need to set them up in your payroll system. For each employee, you will typically need an I-9 form, W-4 form, and direct deposit authorization form, if applicable. Below you will find a downloadable template and a brief description of each of these forms. All employers in the U.S. must verify that any person they plan to hire is a U.S. citizen or has the right to work in the United States. This must be done by completing the I-9 form and making copies of documentation provided by the employee, such as Social Security card, visa, birth certificate, or driver’s license. For instructions on how to complete the form, check out our I-9 form guide. On the W-4 form, employees will provide information like their marital status and the number of allowances they want to take for their dependent children. Based on this information, you can calculate how much income tax to take out of their paycheck. To learn more about how this form works, check out our W-4 guide. If you offer direct deposit to your employees, you must get their permission to deposit money into their bank account. To do so, you need to have each employee complete a direct deposit authorization form. Download a sample direct deposit authorization form. In addition, have the employee submit a voided check along with the completed form. This will allow you to verify that they have given you the correct bank routing and account number. We recommend that you allow employees to deposit into one bank account. Otherwise, you will find yourself managing your employee’s money if you allow them to split their check to multiple bank accounts. Paying employees via direct deposit will allow you to save money because you don’t have to purchase check stock. On the other hand, if you make a mistake in calculating an employee’s pay, it is much easier to void a payroll check and reissue it. Unfortunately, you can’t void a direct deposit payment. Once it is made, you will have to work with the employee to either issue them a check if you underpaid them or reduce the employee’s next direct deposit payment. If you can’t get all of your employees to sign up for direct deposit, then you will need to print payroll checks. Printing payroll checks in payroll software like Gusto is quick and easy. All you have to do is purchase payroll check stock. The software will also run payroll as a direct deposit for you. While it’s possible to calculate paychecks manually, we do not recommend it. One miscalculation could lead to incorrect paychecks and an underpayment of payroll taxes. In addition to unhappy employees, you could be subject to interest and penalties. You can avoid the headaches of manually processing payroll by using a payroll software like Gusto. Just enter the number of hours worked for each employee, mark any sick or vacation days taken, and Gusto will automatically calculate paychecks for you. Try it before you buy it by signing up for a free 30-day trial. Recording payroll on your books involves making sure that amounts are accurately posted to payroll accounts. Before you can record payroll, you will need to set up payroll accounts on your chart of accounts list. The chart of accounts is a list of accounts that is used to categorize the financial transactions that your business generates. For a general overview of the chart of accounts, check out our bookkeeping guide. One of the many benefits of using Gusto is you can connect your QuickBooks account to Gusto and map your chart of accounts so that each time you run payroll, all of the accounts are updated in real-time. The accounts that you need to set up to track payroll will generally be an expense account or a liability account. An expense is a cost that you have as a result of doing business, like gross wages and health insurance. A liability is money that you owe to others. For example, workers’ compensation is a liability because it is money owed to your insurance provider, and employee health insurance is an expense because it will be paid to the vendor that provides health insurance benefits for your business. Below is a list of the accounts you will generally need to set up on your chart of accounts to track all payroll-related activities, along with a brief description of each account. Download your free payroll chart of accounts list for future reference. Gross Wages – Include the amount that you pay to an employee every pay period before any deductions are made. Health Insurance – Include the total amount of health insurance that you pay to your insurance provider (e.g., Blue Cross, Kaiser, etc.). 401(k) Matching – If you offer a 401(k) plan to your employees, include the number of contributions you have made to match your employee contributions in this account. This money will be paid to the investment company that is responsible for maintaining the company 401(k) (e.g., Fidelity). Federal Withholding – This account should reflect the total amount of income taxes you have withheld from all employee paychecks. You will remit these funds to the IRS based the deadlines set by them. FICA Payable – Deductions from employee paychecks for Social Security and Medicare taxes will accumulate in this account. You will remit these funds to the IRS based the deadlines set by them. SUTA Payable – This account should include the state unemployment taxes that you are responsible for paying. State Disability – This account should include the state disability taxes that you have withheld from employees, if applicable. Workers’ Compensation – In this account, you need to reflect the amount of workers’ compensation due. Employee Health Insurance Payable – This account will include the amount withheld from employee paychecks for health insurance coverage. This account will reduce the amount of health insurance paid by the employer. 401(k) Employee Contribution – All employee 401(k) contributions withheld from paychecks will accumulate in this account. This money will be paid to the investment company that is responsible for maintaining the company 401(k) (e.g., Fidelity). Accrued Vacation Pay – If you offer your employees time off with pay, then you need to keep track of the amount of time they have earned on the books. The way this would work is an employee would earn a certain number of vacation hours each pay period. It is important to record accrued vacation because it is money that you owe to the employee. If he/she were to quit or you fired them, then you would have to include all accrued vacation pay in their final paycheck. Let’s take a look at an example to see how this would work. As discussed in the previous section, a journal entry is best described as the recording of debits and credits. If you use an accounting program like QuickBooks, you don’t have to enter journal entries often because QuickBooks does that for you “behind the scenes” when you create an invoice for a customer or pay a bill. However, if you use a manual accounting system, then you will need to create journal entries. When you record payroll, you will generally debit Gross Wage Expense, credit all of the liability accounts, and credit the cash account. Gross Wages will appear on your Profit and Loss report, and the liability and cash accounts will be included on your Balance Sheet report. To accrue vacation on the books, you must use a journal entry. A journal entry is a manual way to record business transactions. It generally includes an effective date, a debit amount, and a credit amount. To learn more about what a journal entry is and how to create one, check this out. Similar to accrued vacation pay, you’ll also need to keep track of the amount of sick pay an employee has earned on the books. You can establish how much sick pay an employee would earn per pay period (as we did in the above accrued vacation pay example). If you don’t want to manually record a journal entry every time you run your payroll, remember that many payroll and accounting systems can work together automatically. For example, Gusto easily integrates with QuickBooks and records all of the debits and credits behind the scenes. There are many payroll reporting and document retention requirements at the federal, state, and local levels. We will focus on what the federal government requires. However, in the next section, you will find a couple of great resources that you can use to research what the requirements are for your particular state and local area. There are four main tax forms that you are required to complete in order to report your payroll tax information: Form 941, Form 940, Form W-2, and Form W-3. Use this form to report the total Social Security and Medicare taxes (FICA) withheld from all employee paychecks plus the employer share of Social Security and Medicare tax. Social Security is 12.4% of employee wages up to a maximum salary of $128,400 (2018) and $132,900 (2019). Medicare is 2.9% with no salary cap. While you must file Form 941 on a quarterly basis, you may be required to submit payments to the IRS either on a monthly or semimonthly basis. Check our FICA and Form 941 tax guide to learn when to pay FICA taxes and file Form 941. Under the Federal Unemployment Tax Act (FUTA), employers have to pay a tax rate of 6% on the first $7,000 that each employee earns. Form 940 must be filed annually to report payments made for unemployment taxes. While you only have to file this form annually, you may be required to submit payments more often than that. For more information, head over to our FUTA tax guide. The W-2 form provides employees with a summary of the wages that you paid them and the deductions taken for the tax year. You are required to provide all employees with this form by Jan 31. You must also file this form with the Social Security Administration (SSA). It is recommended that you electronically file this form. Check out how to file electronically to learn more. This form is a summary of all W-2 forms issued to employees. You must also file this form with the Social Security Administration along with all W-2 forms. This form should be filed electronically with the SSA at the same time that you file Form W-2. For most small business owners, outsourcing payroll to a payroll software company like Gusto is going to be a huge time saver for calculating paychecks. However, I do believe that it is important for you to understand what goes into calculating payroll checks in case you ever need to do it manually or to correct a payroll error. Let’s walk through the components of the formula and then use an example so that you can see how to do the calculation. Federal withholding is the amount of income tax that an employee must pay, based on their gross pay, tax bracket, number of allowances claimed on Form W-4, and their marital status. With this information, you can look up the federal withholding amount for employees by using the IRS Tables in Publication 15. In this example, let’s assume our employee is married and has claimed two allowances on her W-4 form. She is paid $1,600 per pay period. Assuming we run payroll on a biweekly basis, we would use the following wage bracket table (from IRS Publication 15) to determine the amount of income tax to withhold. Based on this table, we would withhold $109 from this employee’s paycheck for income tax. Depending on what fringe benefits you offer, there may be several deductions that you need to make for employee paychecks besides Social Security, Medicare, and federal withholding. For example, if you offer a health insurance plan that the employee can contribute to, you will need to deduct the employee’s share of that health insurance plan in order to calculate net pay. Now that you are more familiar with the components of calculating net pay for your employees, let’s walk through an example. We will assume the employee makes $20 per hour and worked 80 hours this pay period. 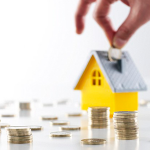 In this article, we have primarily focused on your tax responsibility at the federal level. However, states and localities may have additional or different laws when it comes to payroll taxes. To learn more about your tax responsibility at the state level, consult your state tax website. This section includes the most frequently asked questions about how to do payroll accounting. If you don’t see your question, head over to our Fit Small Business forum and post your question there. We have a whole team of industry experts (like myself) who answer questions from small businesses every day. 1. How Do You Learn to Do Payroll? While the nuts and bolts of payroll remain the same in terms of the accounting side of payroll, the actual process of calculating payroll checks, printing checks, and filing and making payroll tax payments will differ depending on your payroll software. For example, you can use Gusto payroll to manage your entire payroll process. 2. 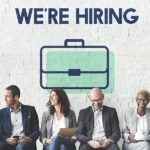 How Do I Do Payroll for My Small Business? 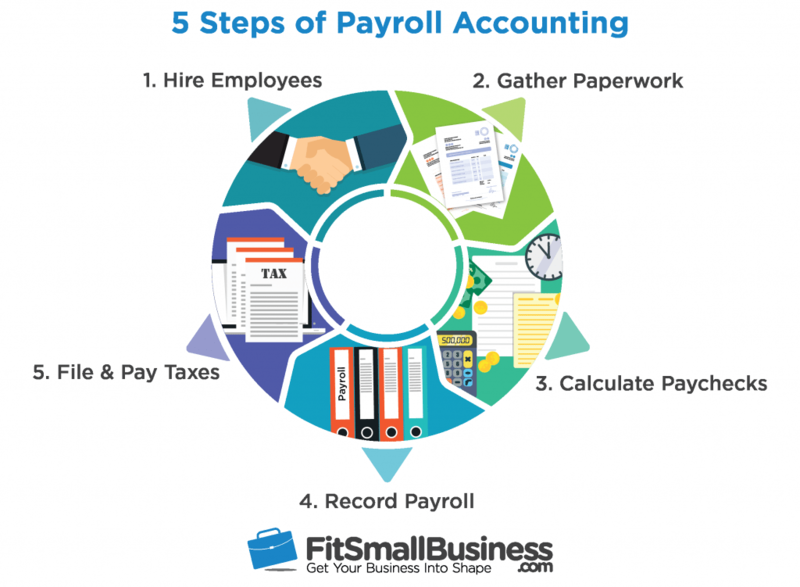 Payroll for small business can be summarized into five steps: hire employees, gather paperwork that includes employee contact details and withholding information, calculate paychecks with the help of payroll software, record payroll on your books, and file and pay payroll taxes. 3. How Do You Record Payroll Accounting? To record payroll on your books, you will generally debit an expense account called Gross Expenses and credit multiple liability accounts (e.g., Federal withholding, FICA payable) and credit the checking account that you want the funds to be deducted from. If you are a bit overwhelmed by the intricacies of learning how to do payroll accounting, you’re not alone. Skip the headache of doing payroll on your own and leave it to the experts. While you might save a few bucks in the short term, the additional penalties and fees you could be subject to for miscalculations or missing the due date to file a payroll tax return is not worth it. Instead, we recommend that you use Gusto. Gusto can save you a ton of time by automating manual tasks like calculating your paychecks and computing your share of Social Security tax, Medicare tax, and state and federal unemployment taxes. If you use QuickBooks, it will sync your data so you don’t have it enter it manually. Try Gusto free for 30 days. Interesting discussion , I learned a lot from the facts , Does someone know if my company could get ahold of a fillable URL – IRS W-2 example to fill in ? Hello, here is a link to a company that offers fillable W-2 forms: https://fillable-form-w2.pdffiller.com/?gclid=CJHwm8LtnNMCFQtnfgodoVYM3w. There are several options availble, just google “fillable W2 form” to see them all. Thank you very much. I am about to apply for a payroll job and I have no idea. I did media in college. This article helped alot. Mills, I’m so glad you found the article helpful. Good luck on landing the payroll gig!